The 3rd leg of our 17/18 5-week trip was the most ambitious, with 6 resorts in British Columbia and Alberta Canada planned over 12 days. The idea was to drive over 4,000 miles to get the most remote resorts on our list done in one big batch while we had plenty of time. That big chunk of time was due to my sabbatical from Adobe which only happens once every 5-years, so we had to make the most of it! Of course after weeks of above average temps in Western North America, the day before our trip started an arctic air mass settled in with temps 25F below normal. 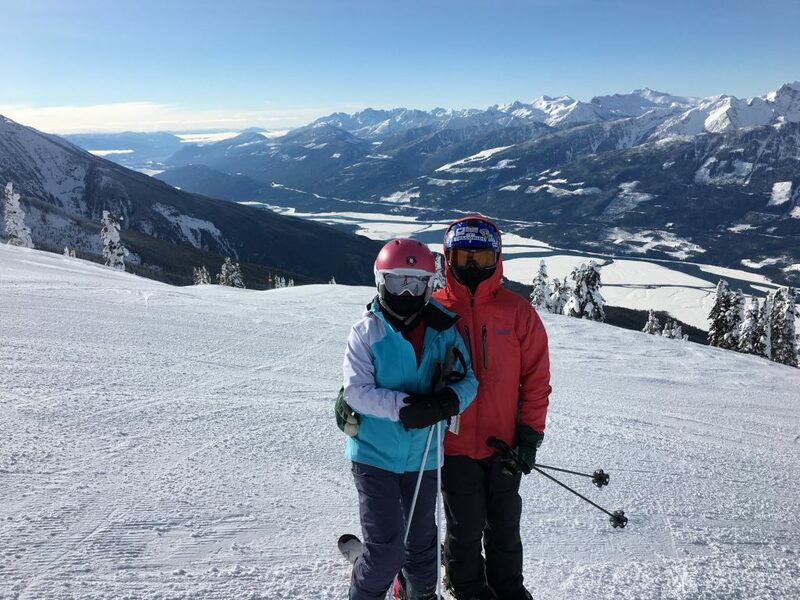 We delayed 2 days to avoid skiing in -30F temps, but it was still very cold on our first day at Revelstoke with an actual temp of -2F at the base and a wind chill of -37F up top 5,620 feet higher. This was something we rarely experience since most of our skiing is done in California and Utah. We were mostly fine with it and enjoyed the dry, cold snow, but we did have to go in and warm up a couple of times. We found 2 new 5-star resorts on this trip, which is the ultimate goal of the project. A 5-star resort is rare and the original idea was to find all the best resorts that we would love to return to someday. Revelstoke and Panorama certainly qualify. We are already scheming of ways to spend a season in each place. We experienced so many incredible moments at both of those resorts. 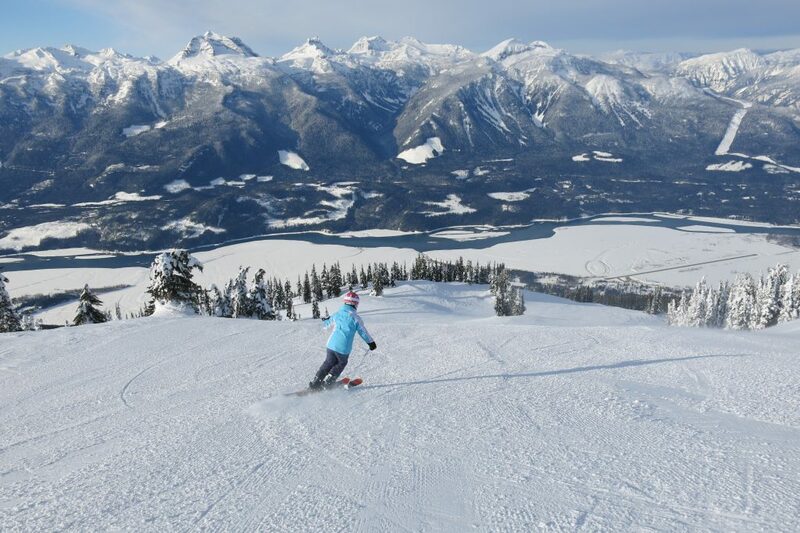 Kicking Horse near Golden BC was one of the scariest resorts we have ever skied. About 50% of the runs are super steep lines that often require a hike along exposed terrain. 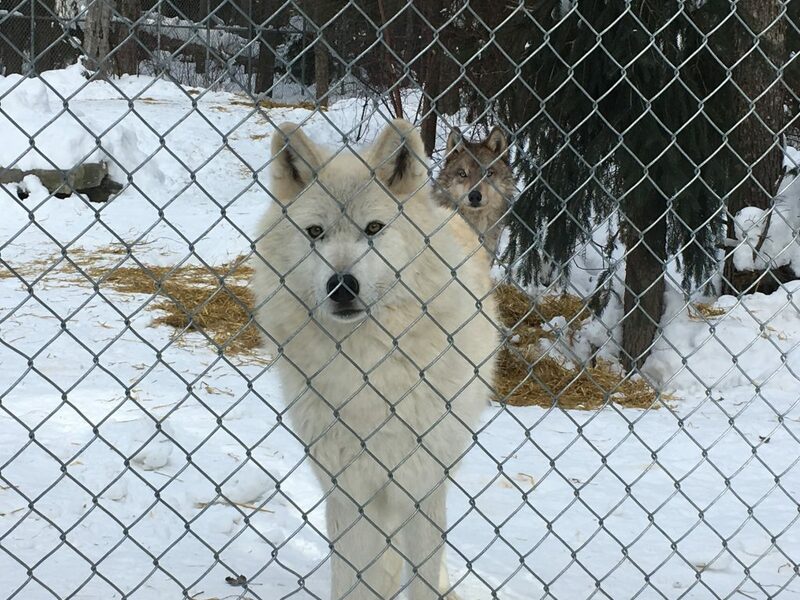 We weren’t really impressed with the resort due to the really limited lift network (basically 1 gondola and one chair), but we salvaged the day by visiting the Northern Lights Wolf Sanctuary north of Golden after skiing. This was the first time we’ve seen wolves very close up and we would definitely like to go back and pay extra to take them out for an off-leash walk in the woods. Seriously! 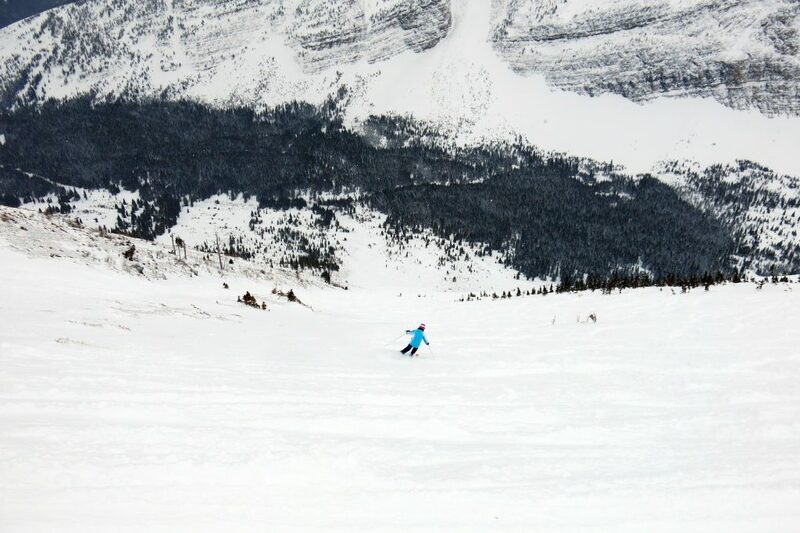 At the end of the Powder Highway, Fernie featured lots of the fresh powder it’s known for. We really lucked out with a foot the day before we got there, another foot our first day, and heavy snow falling during the 2nd day. We had a lot of fun demoing skis from a local ski shop. 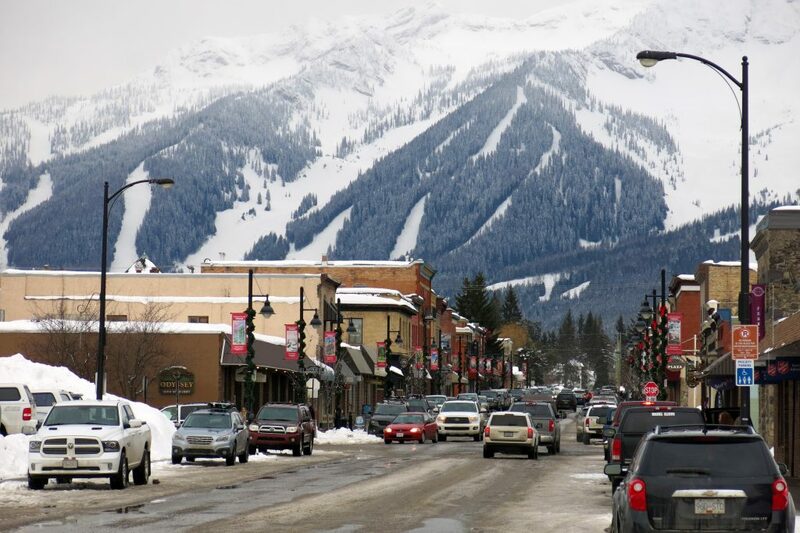 Fernie is a great ski town with a scenic compact downtown area and lots of great restaurants and shops. One of the most interesting experiences on this trip was the day we went over to Castle Mountain, Alberta. It was a pretty long 88-mile drive each way from Fernie over Crowsnest pass, and then south along the eastern side of the Rockies through some spectacular scenery. Castle Mountain is at the end of the road and even a mile before we got there I was wondering what we would find because there were no other cars on the road. It was yet another powder day, but that’s almost irrelevant at Castle because there are so few people you can find deep untracked lines 2 days after a storm. It’s a massive 3,500 acres and with sparse crowds it’s one of the best places I can think of to find inbounds powder lines. Once again we were really impressed with British Columbia. 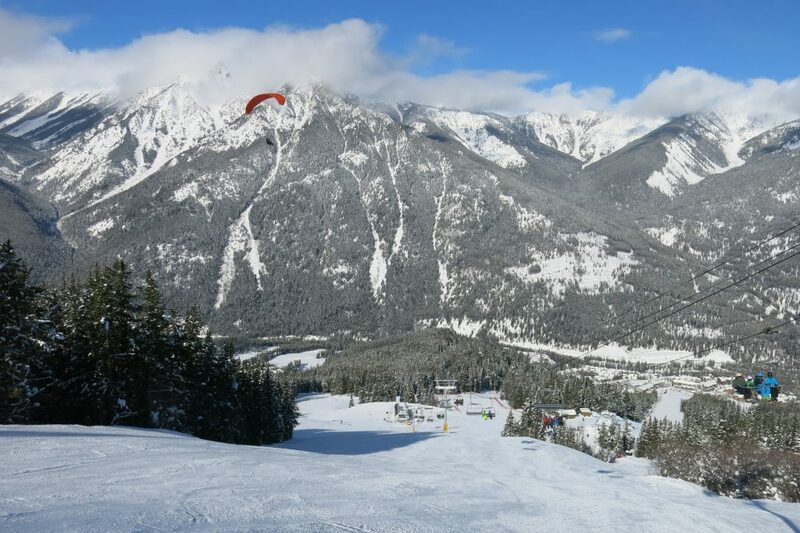 Friendly people, great snow conditions, and a discount due to a favorable exchange rate makes it our favorite ski destination. We still have 2 resorts to ski there, so we will be back in a couple of years. Until then we have some great memories and will look forward to the next trip! This entry was posted in Uncategorized on March 20, 2018 by Ron Thompson.